CROSS RIVER STATE-The People's Paradise. Naijasky.com/akpabuyo -headquarters Naijasky.com/ikot-nakanda. ADD YOUR BUSINESS FREE TO YOUR LOCAL COUNCIL BUSINESS LISTING. Attract More New customers from: Local, State and Nationwide and Increase Your Sales. Interact with Your Customers. Add Your Business NOW! CLICK THE + SIGN when your council opens. 1. Insert your business name on Subject. 2. Add your business info on Message. 3. Click attachment to upload photos. 4. Click Post to add your business. Need Help contact Wale 08033181698. Naijasky.com/calabar headquarters: city of Calabar. The People's Paradise . 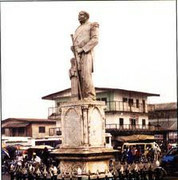 It's capital is Calabar naijasky.com/cross-river.state: Read LATEST NEWS from Cross-River State . Do you have news/story for us ? submit it by: Click your state name, when open stroll down to read latest news, to submit story, click + sign on on the state name and submit your story. (on subject, Add Title, on message add story , click attachment to add picture and click post to submit.) Read latest National News @ naijasky.com/politics . ADVERTISE WITH US Contact Wale 08033181698.(sms/call/whatsapp. N10,000/mth or N1,200 1000 viewers. Why Ayade's reelection is a sweet victory. Page created in 1.683 seconds with 25 queries.